Accurate head tilt detection has a large potential to aid people with disabilities in the use of human-computer interfaces and provide universal access to communication software. We show how it can be utilized to tab through links on a web page or control a video game with head motions. It may also be useful as a correction method for currently available video-based assistive technology that requires upright facial poses. 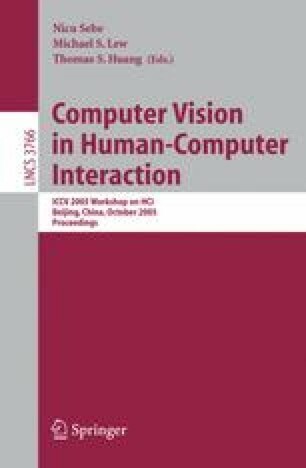 Few of the existing computer vision methods that detect head rotations in and out of the image plane with reasonable accuracy can operate within the context of a real-time communication interface because the computational expense that they incur is too great. Our method uses a variety of metrics to obtain a robust head tilt estimate without incurring the computational cost of previous methods. Our system runs in real time on a computer with a 2.53 GHz processor, 256 MB of RAM and an inexpensive webcam, using only 55% of the processor cycles.